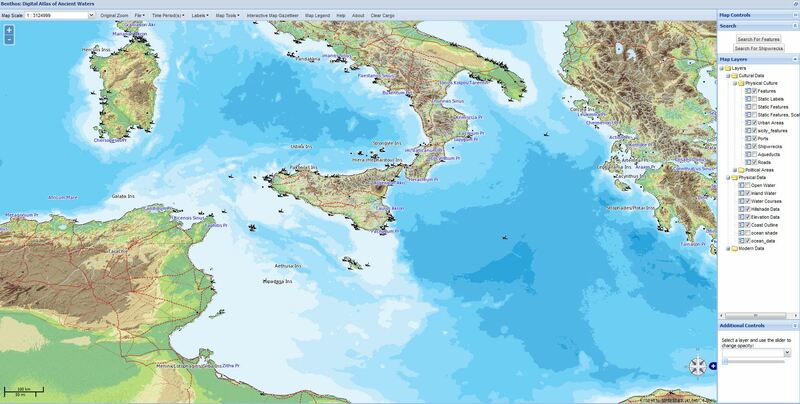 This entry was posted in archaeology, General medieval, Institutions, Romans and tagged Birmingham, CBOMGS, funding, GIS, Henry Chapman, Matthew Harpster, Mediterranean Sea, nautical archaeology, seminars. Bookmark the permalink. I’d love to see the ERC Advanced Grant come together. Good luck! It has been a while since I read the first chapter of Jonathon Pryor’s excellent book on Medieval Mediterranean shipping, but my memory is that prevailing winds, currents and a relative lack of harbours along the North African coast mean that, if (say) you are leaving Carthage bound for the West, what you don’t do is sail West – you sail North and go up the coast of Italy and then turn West. Which is to say that the relative lack of shipwrecks in the Western Med doesn’t necessarily mean that western destinations weren’t being sailed to, just that in the age of sail people had to go the long way around to get there. This may (partly) explain what looks like the bottleneck going through the Strait of Messina. I wonder if it is also fair to say that the waters of Morocco, Algeria and Tunisia have been relatively less explored in terms of underwater archaeology than those of other countries? That may be entirely wrong – more a question than a statement.